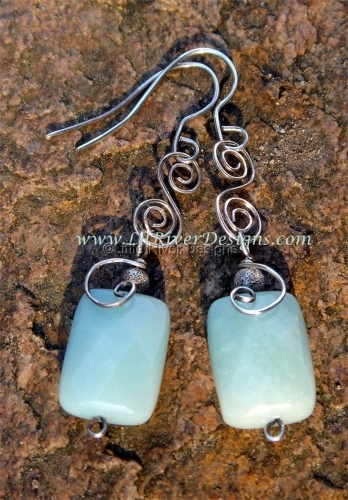 Handmade Sterling Silver wire wrapped earrings with beautiful light aqua faceted Amazonite. Spring is in the air with these whimsical earrings. 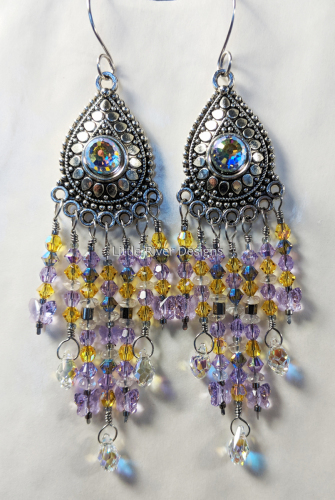 Several strands of quartz, Swarovski crystal in violets and topaz with vibrant crystal and violet butterflies dangle below Bali style chandeliers of silver and crystal. Hypoallergenic handmade steel ear wires. Four and a quarter inch drop.